When discussions of sequels that top original flicks occur, we mostly find the usual suspects: The Empire Strikes Back, Aliens, Terminator 2, and The Godfather Part II readily spring to mind. Many will disagree, but I�d add 1990�s Predator 2 to the mix. I thought the 1987 original offered some good action, but it always seemed like a disappointment that didn�t live up to the potential of its premise. However, I felt its sequel took better advantage of the possibilities. Whereas Predator took place in a jungle, Predator 2 relocates to Los Angeles circa 1997. A place seven years in the future when they made the film, this LA suffers from a relentless heat wave and some horrific violence between drug gangs. The film starts with an incident between the LAPD and Colombian baddies; the latter injured some cops and the former want to rescue them but can�t get past the barrage of gunfire. The cops suspect that competitors did these nasty deeds, and DEA Special Agent Peter Keyes (Gary Busey) states that he�s there to stop King Willie�s voodoo gangs from taking over the whole west coast. However, we can tell he has another agenda, just as we know the predator killed the Colombians. But we�re ahead of Harrigan and his crew. We meet his coworkers Danny (Ruben Blades) and Leona (Maria Conchita Alonso) as well as a new teammate, hotshot �Lone Ranger� Jerry Lambert (Bill Paxton). The predator stages its own assault on the gangs while the authorities try to keep up with the mayhem. In the meantime, Harrigan suspects that Keyes knows more than he�ll tell, so he gets Jerry to tail the DEA agent. 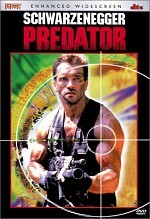 Eventually, matters become more personal between Harrigan and the predator, which sets the cop off on a vendetta. 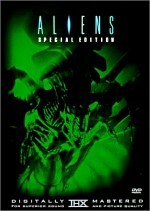 This leads to a long series of action sequences that pit man against alien on the streets of LA. While I can�t say these totally live up to the potential of the piece, I think they come much closer than the original flick did. Actually, Predator 2 seems like two different movies to a certain degree. The first half offers more of a mystery, at least for the film�s characters. We know exactly who�s responsible for the various killings, but Harrigan and the others remain ignorant. That means the movie drags somewhat during its initial half. We need to wait for the participants to catch up with us, and that takes quite a while. Actually, our main protagonists don�t get to the audience�s level of understanding until well past the midway point, but at least they become more involved in the action. Since the first half concentrates so much on the investigation into the culprit, we don�t see much action that features the predator. While the movie starts with a major shoot-out, the predator�s sequences go by pretty quickly, and he doesn�t turn into a real factor until a big scene on a subway train. As for the actors, they struggle to make their barely-one-dimensional characters come to life. Alonso and Blades fail, as their roles remain wooden and lifeless. Paxton does better, mostly because he adopts a more broadly comic personality and doesn�t take things too seriously. Lambert doesn�t ever become as endearing as Hudson from Aliens, but at least he exhibits a little spark. 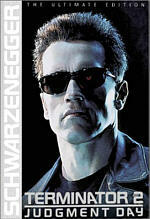 Predator 2 appears in an aspect ratio of approximately 1.85:1 on this single-sided, single-layered DVD; the image has been enhanced for 16X9 televisions. Though it showed its age at times, the picture generally looked quite good. Sharpness seemed fine. The movie came across as accurate and distinct. I noticed no issues related softness or fuzziness during this tight and well-defined presentation. Jagged edges and moir� effects created no concerns, but I discerned some light edge enhancement at times. As for print flaws, I noticed a little grit and some specks, but in general, the movie looked nicely clean and fresh. Some light grain also cropped up at times. Predator 2 presented a lively palette, and the DVD replicated those tones well. It handled some scenes with red lighting nicely, and the other hues came across as tight and vivid. Black levels seemed deep and dark, but shadow detail could appear somewhat dense and murky. Since the film included a lot of low-light sequences, this caused some moderate problems. Nonetheless, I generally felt satisfied with the image of Predator 2, as it looked pretty solid for a movie of its age. The Dolby Digital 5.1 soundtrack of Predator 2 also demonstrated some issues related to its era, but it mostly seemed very satisfying. The soundfield presented an involving affair, though it appeared a little too active at times. Audio from the forward channels worked well, as the music showed good stereo presence and effects blended together neatly and cleanly. Material seemed well placed and elements moved smoothly between channels. Surround usage appeared somewhat excessive and artificial at times, but the rear speakers usually provided good reinforcement of the front speakers. Too much music came from the back channels, but effects became nicely engrossing and lively. Audio quality seemed quite good. Speech sounded natural and distinct, and I noticed no issues related to intelligibility or edginess. Music appeared very strong, as the score consistently came across as bold and dynamic, with solid clarity. Effects also seemed clean and accurate, and they packed a serious punch. Low-end material appeared tight and deep; elements such as helicopters and the predator�s heartbeat presented tight and deep bass. Overall, the mix for Predator2 worked nicely and earned a �B+�. Though not totally bare bones, Predator 2 lacks many extras. We get a 1990 featurette that runs five minutes and 41 seconds. Mostly it shows movie clips in addition to some behind the scenes snippets and interview tidbits from director Stephen Hopkins plus actors Danny Glover, Gary Busey, Maria Conchita Alonso, Ruben Blades, and Bill Paxton. A few of the shots from the scene seem decent, but the interviews lack substance and the featurette exists as nothing more than a glorified trailer. Another promotional program from 1990, Predator 2: Creating the Ultimate Hunter lasts three minutes, 40 seconds. However, at least this one tries a little harder to divulge filmmaking information. We get the same mix of materials as we learn about the creation of predator vision, urban camouflage, and the predator�s weapons. Oddly, the piece names none of the participants, so while I recognized Hopkins, creature creator Stan Winston, Glover, and fellow actor Morton Downey Jr., I can�t name any of the other technical personnel. The material from the set seems moderately useful but not deep, and the details about the effects also fail to tell us much. Like the prior featurette, this one remains very oriented toward hyping the film, so don�t expect to learn much from it. 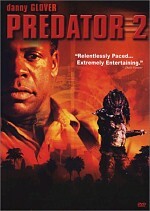 The package concludes with the theatrical trailer for Predator 2. It comes presented anamorphic 2.35:1 with Dolby Surround 2.0 audio. It seems unusual that the film�s original 1.85:1 dimensions got cropped to 2.35:1 for the ad; usually trailers reverse that prospect. A lively and generally exciting little action flick, Predator 2 doesn�t do anything to redefine the genre, but it works well as a whole. It seems consistently more satisfying than the disappointing original movie, and it contains enough solid thrills to make it a success. The DVD offers surprisingly strong picture and sound, but it skimps on extras. Nonetheless, Predator 2 comes across as a compelling and enjoyable action movie, and it merits my recommendation. With a list price of less than $15, this sucker�s a definite bargain.